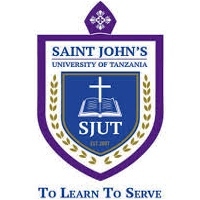 St. John’s University of Tanzania (SJUT) is owned by the Anglican Church of Tanzania (ACT). The Mazengo campus is located in Kikuyu area in Dodoma, about 3.5 km southwest of the town centre along the Mtera-Iringa highway. The University has centres: St Mark’s Centre at Buguruni Malapa in Dar es Salaam and DCT Msalato Centre along the Dodoma-Arusha highway about 8km from town and one site within Dodoma Town. The vision of St John’s University is to become a Christian university of global standards developing humankind holistically to learn to serve God and society. Thus, St John’s University of Tanzania aspires to be a significant global player in the provision of quality higher education from a Biblical worldview. The university’s mission is expressed in the three pillars: provide high quality education and training, conduct research and consultancy services, and engage with community taking its rightful stature in the public space. (c) Job Summary: Assisting the relevant offices of the University in the duties pertaining to office management and secretarial duties. (d) Qualification: Holder of a Form IV at least with two credits one must be in English or Form VI at least with one principal pass and candidates who have successfully completed Secretarial Course and passed Secretarial Examination Stage II i.e. passed Shorthand in English 80 words per minute, Typing 100/120 w.p.m, Manuscript Stage II, Tabulation Stage III, Office Procedure Stage II and Secretarial Duties Stage II and have Advanced Computer Course from a recognized institution with relevant working experience of at least three years in a similar position. (e) Experience: With a minimum of three (3) years working experience in a high profile office. (xii) Perform any other duties as may be assigned by one's reporting officer. (h) Tenure: Local permanent contract and pensionable.